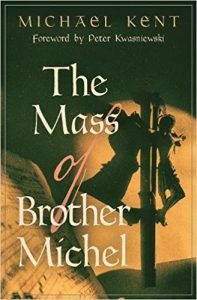 The Mass of Brother Michel is an exceptionally entertaining novel with great depth and charm, beautifully told, and set in France during the Protestant Reformation. Hinging on the love of a young nobleman for his childhood sweetheart, this is at its heart a Eucharistic story, full of surprises, about the way God’s love transforms and blesses the human heart through suffering and struggle. Ultimately, this exciting and satisfying page-turner grapples with the nature of love itself. Romantic, spiritually insightful, and hilariously funny, the plot features two main characters, Michel and Louise, who do something that rarely occurs in contemporary literature–they grow in holiness. But rather than being a typical religious story wrapped clumsily around an agenda, Michael Kent’s intensely rewarding saga of love and redemption entertains and delights for its authenticity and high-stakes action throughout. The climactic final scene is truly unforgettable. The Mass of Brother Michel, originally published in 1942 and reprinted in 2017 by Angelico Press, richly deserves to be counted as a spiritual classic on par with the works of Sigrid Undset, Michael O’Brien, and Evelyn Waugh. Kudos to the folks at Angelico for bringing this lost treasure to light and sharing it with the world. 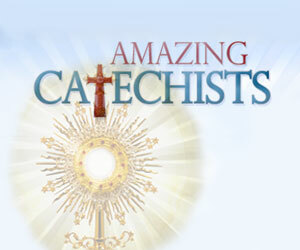 Highly recommended for all who love the Catholic faith, especially the Real Presence of Christ in the Eucharist. NOTE: This book contains mature themes and some violence, but no sexually-explicit content. Appropriate for readers 16 and up.